We would like to set the record straight and state our complete rejection of all prejudicial views and bigoted stances toward the Jewish community and any other community of faith. 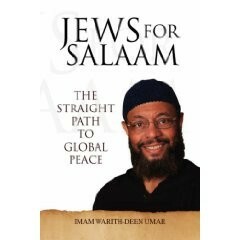 … ISNA is committed to working with its partners in the Christian and Jewish communities to promote peace and understanding, and will take the necessary precautions to ensure that its convention and conferences are not used as a platform to attack its faith partners and undermine social peace. attacked "unholy Jews" such as Rahm Emanuel and David Axelrod, two of President Obama's top aides, by name as [Israelis and] part of a conspiracy "to control the world." He then claimed that in the Holocaust—the systematic Nazi murder of 6 million Jews—Jews were "punished for a reason because they were serially disobedient to Allah." 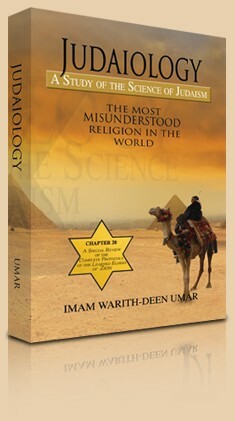 He praised the notorious anti-Semitic forgery, the Protocols of the Elders of Zion and claimed "the Protocols actually explain and reveal what others observe about the real activities and results of Jewish diplomatic, industrial, business, and political involvement among the peoples of the world..."
"So we [Muslims] don't like Jews. In America we [Muslims] don't like Jews. Like in many places, we [Muslims] don't like Jews." "the first man that Obama picked when we were so happy that he was the president, he picked an Israeli – Rahm Emanual, his number one man. His number two man – [David] Axelrod, another Israeli person. Why do this small number of people have control of the world?" "You have to know in America, this is a so-called Christian-Judeo [country, or] sometimes they call it Judeo-Christian … you have to understand the psychology that's being used even for that terminology. How could such a small group of people[, i.e., the Jews,] be over a larger group of people?" (1) Between Umar's prior front-page notoriety and ISNA's rules, the organization clearly must take full responsibility for Umar's talk. ISNA was caught red-handed, exposed for what it really is, an Islamist organization. (2) Presumably, ISNA's statement of repudiation has something to do with not embarrassing the White House, which sent an emissary to its convention. (3) Louay Safi himself has an ugly record as an Islamist attack dog. For example, in May 2005 he denounced me for "mean-spirited and bigoted" criticisms of ISNA and the Council on American-Islamic Relations while disapproving my assistance to the (truly moderate) Center for Islamic Pluralism. (4) ISNA's problem with Jews is common to other components of the U.S. Wahhabi lobby. For example, CAIR co-hosted an anti-Semitic rally in Chicago earlier this year. Likewise, ISNA had nothing to say about a second speaker on the authors' panel, who argued that Hezbollah, a U.S.-designated terrorist group second only to Al Qaeda in the number of Americans it has killed, serves as a protective force for Lebanon. Cathy Sultan's remarks ignored Hezbollah's role as an Iranian proxy and its campaign of violence that may have helped turn Lebanese voters against it last month: "Hezbollah still serves a role. I think that Lebanon is still under constant threat from its southern neighbor. And I see nothing wrong, as long as Hezbollah abides by certain rules and regulations; I see no reason why Hezbollah should not remained armed."